All it took was adding a delay to fix the script (notated as a comment in the script below). If you are running into errors with a previously used “Toggle Grayscale” AppleScript (or perhaps any AppleScript) in El Capitan, you may want to try adding “delay 1” in the line before the error occurs. Open Script Editor.app, located in Applications>Utilities. Save the script file (.scpt). To map the script to a keyboard shortcut, such as a F key or a multiple key combination, download, install, and run BetterTouchTool (BTT). There’s a free trial version but it’s worth the few bucks since you can do so many other things with it. Note: You can also use OS X’s bulit-in method described here or any other keyboard mapping tools. BTT is the simplest though, in my opinion. 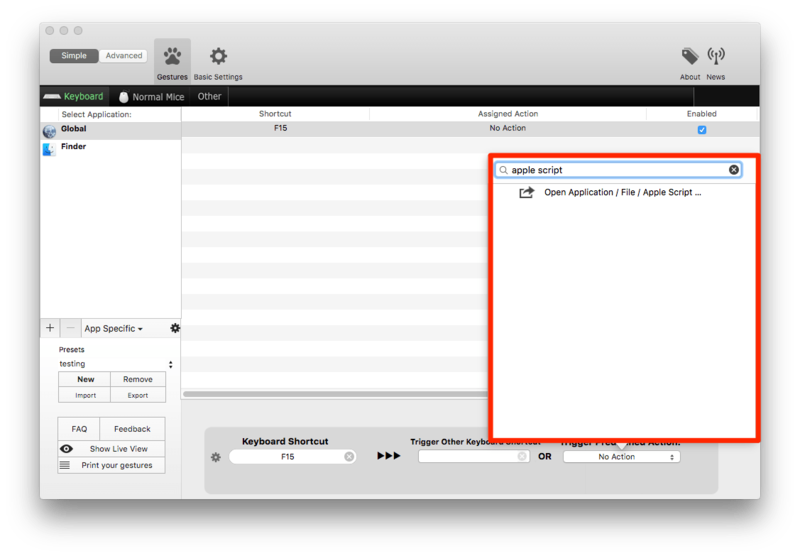 Open BTT’s preferences by clicking the icon, located in the menu bar. 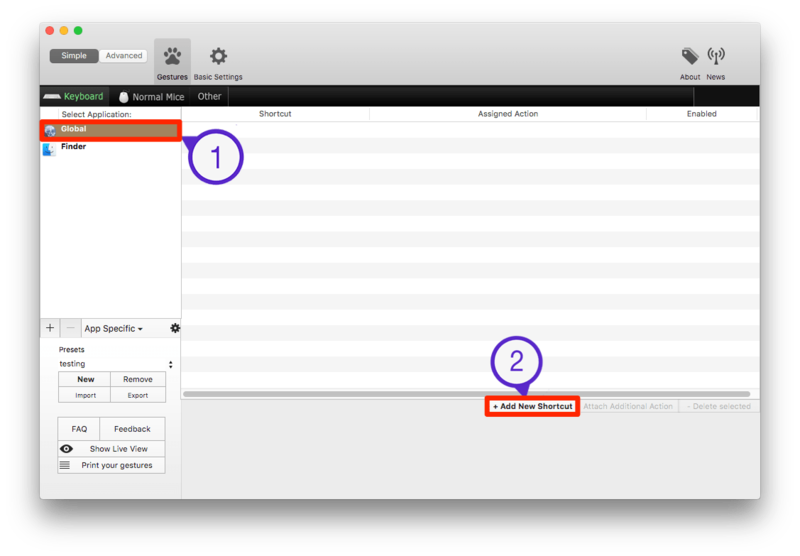 Select Global on the left side (to ensure the shortcut will work from any app), then click + Add New Shortcut. 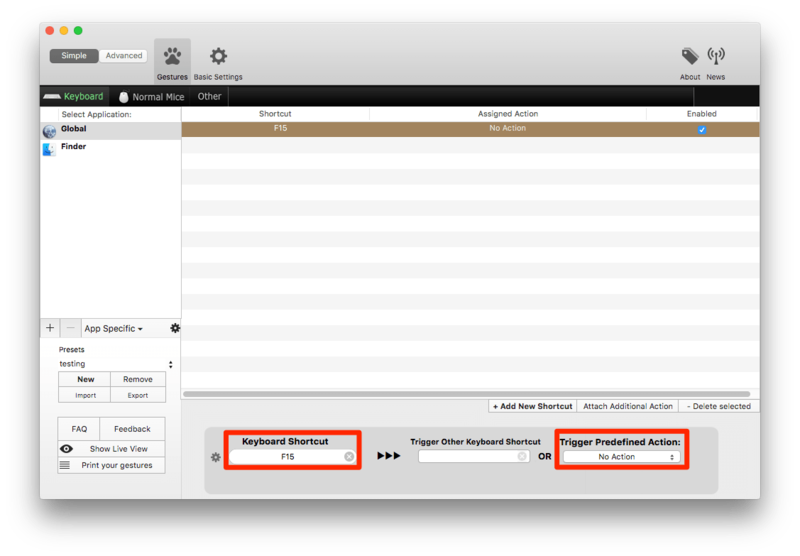 Under Keyboard Shortcut, type the key or shortcut combo you wish to use (F15 in this example) and then click on the Trigger Predefined Action drop-down box. Navigate to the saved .scpt file from earlier and select it. Click Open. 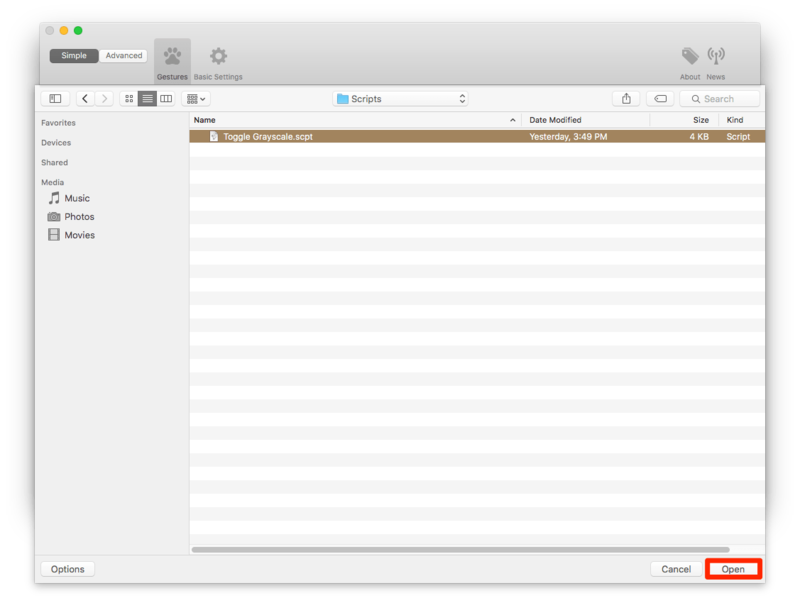 You can close the BTT window, as it will stay running in the background and accessible via the menu bar. Any update to this for Sierra? It’s running fine for me in compile in Automator or Apple Script Editor (after a minor tweak to select “Scroll area 2” and “row 6”), but as soon as I save it as a service or app I get an error. It doesn’t seem to select the Display option, after it opens the Accessibility pane. Love to hear if you have it working! Same, sierra broke my AppleScript. I’m having trouble customizing it to access the Display anchor menu. Here’s is my new one, working for OSX Sierra. Thank you all. Works perfectly with Sierra! Hi there. Running Mac OS High Sierra, and curious about a script to do this for the newest operating system. Tried the solution offered above (Seth’s corrected post), and got a “Syntax Error” dialog. I’ve found a solution for High-Sierra (based on code from here as well as code from https://apple.stackexchange.com/questions/240446/how-to-enable-disable-grayscale-mode-in-accessibility-via-terminal-app/240449). Also, I’d recommend saving it as an app and putting the app in your dock to keep things simple (advice from https://apple.stackexchange.com/questions/196761/how-to-toggle-with-grayscale-in-yosemite). I’m experiencing the same error as well and would love a fix! @Joshua: Sorry, there was an error in the post. Changing all “ to ” in the script should make it run correctly.